Kensington residents should take note that beginning this coming week there will be more than the usual inconveniences of traveling the city by subways. 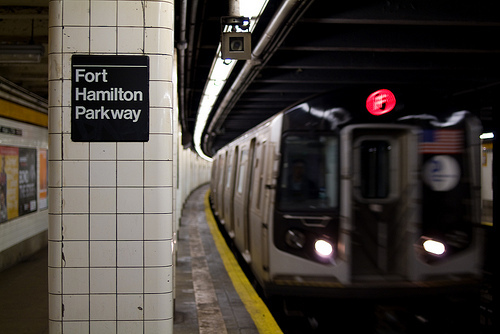 Commuters of Kensington as well as Windsor Terrace will no longer be able to take the F and G trains to Fort Hamilton and 15th St/Prospect Park until this coming spring. The F and G trains will not be able to stop at those above mentioned stations due to ongoing work on the Culver Viaduct, which caused previous delays for northbound trains which were forced to skip those stations for five months at the beginning of this past year. The closures will affect about 11,000 commuters. But those commuters should feel safer as, according to Brad Lander’s office the NYPD will be dedicating extra manpower to protecting the area, “particularly during the darker evening hours,” because of the well-known recent surge in sexual attacks.